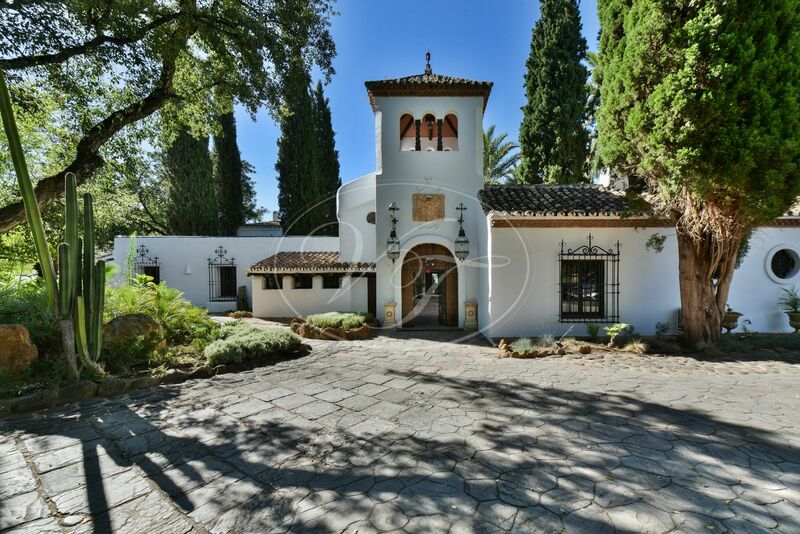 Character full Cortijo on a large estate in Estepona, Málaga, Costa del Sol, Andalusia. 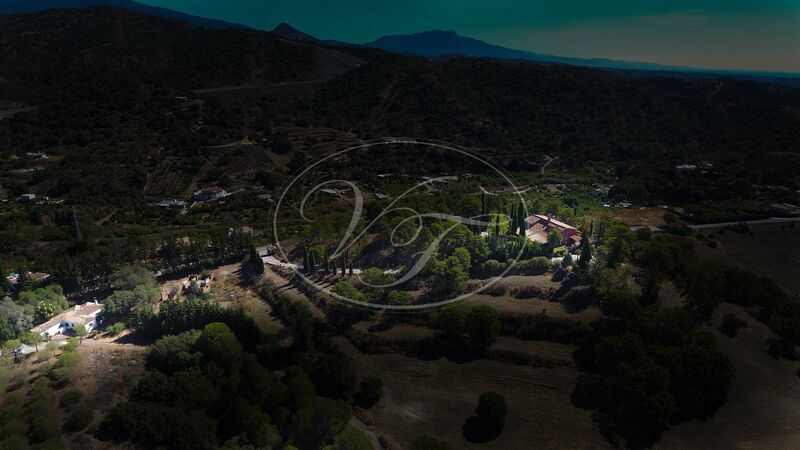 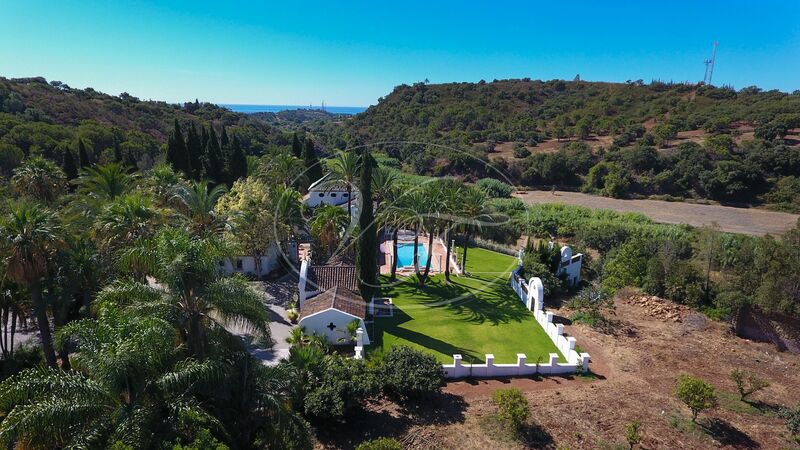 A unique property where you can enjoy the privilege of living surrounded by beautiful nature in a private estate of 69 hectares at only 5 minutes drive from the beach. 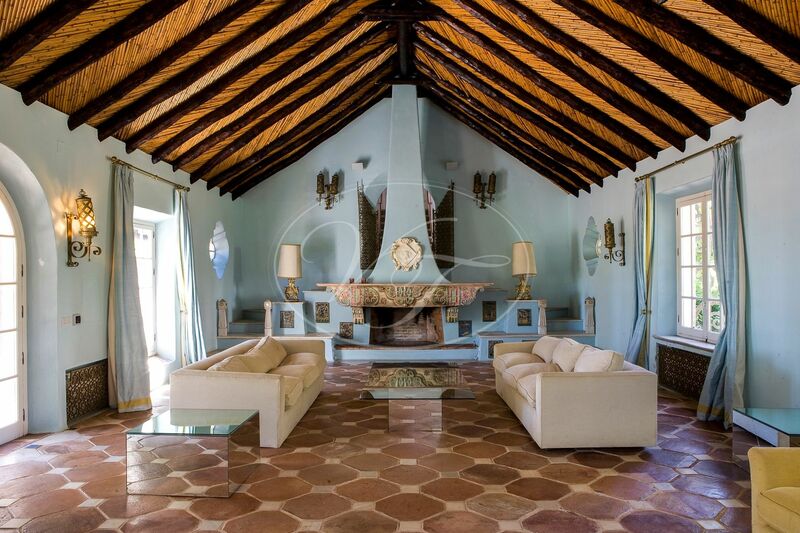 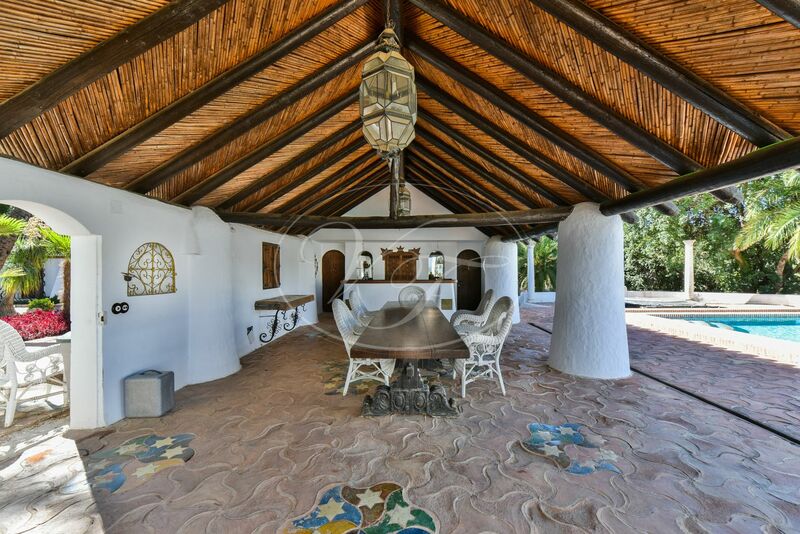 This stunning property has a total of approximately 1.100m2 built, which comprises the Cortijo of approximately 700m2, a guest house of app 300m2 and a staff house of approximately 140m2. 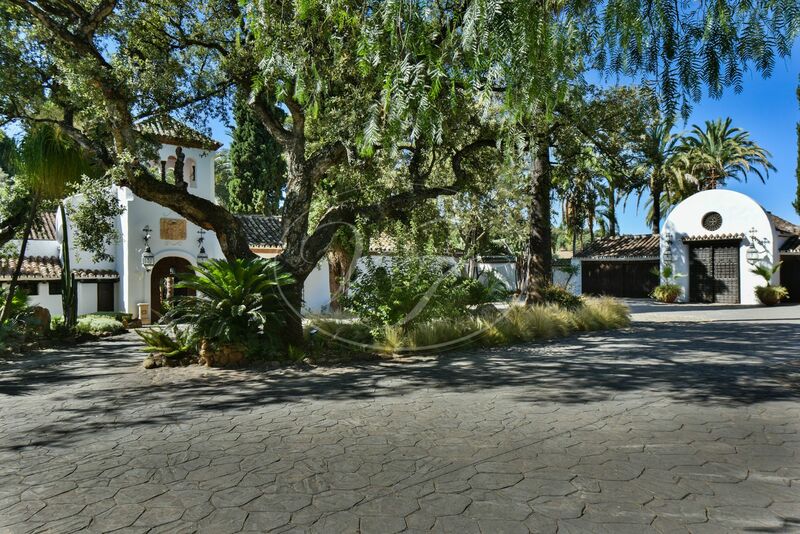 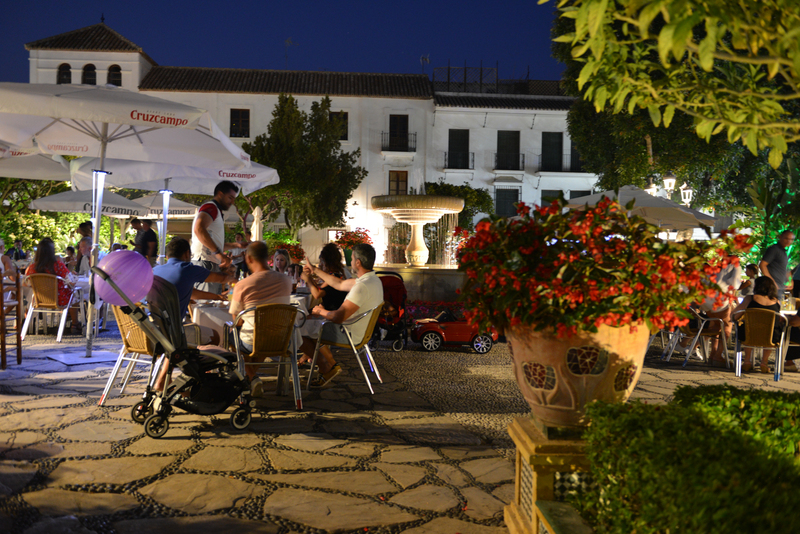 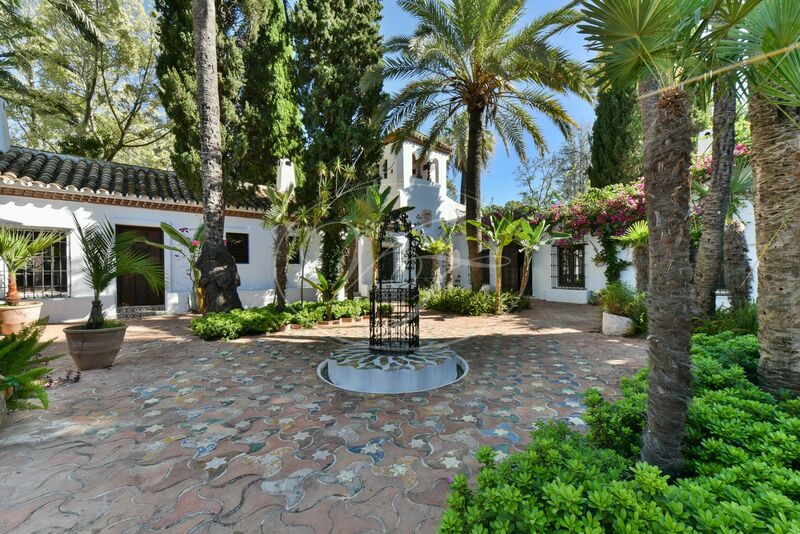 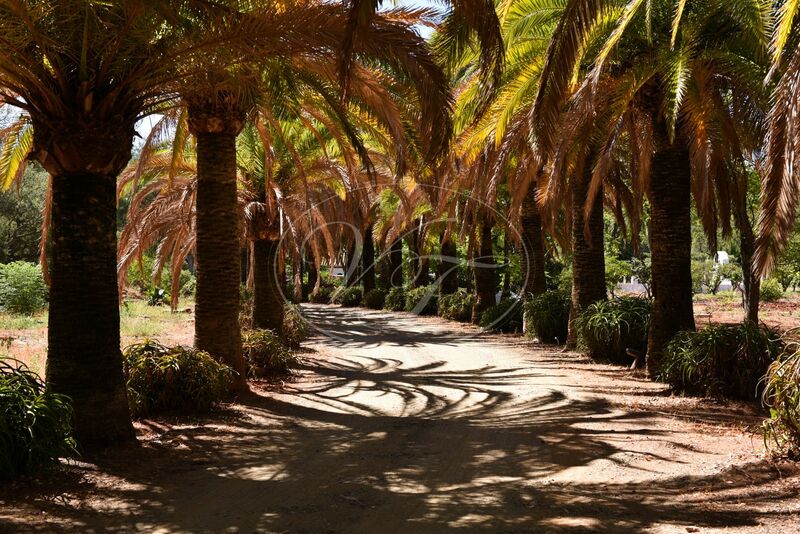 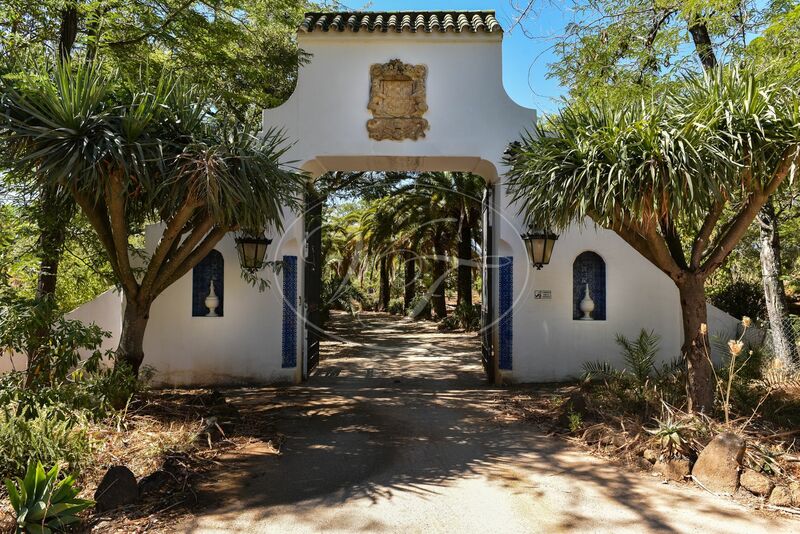 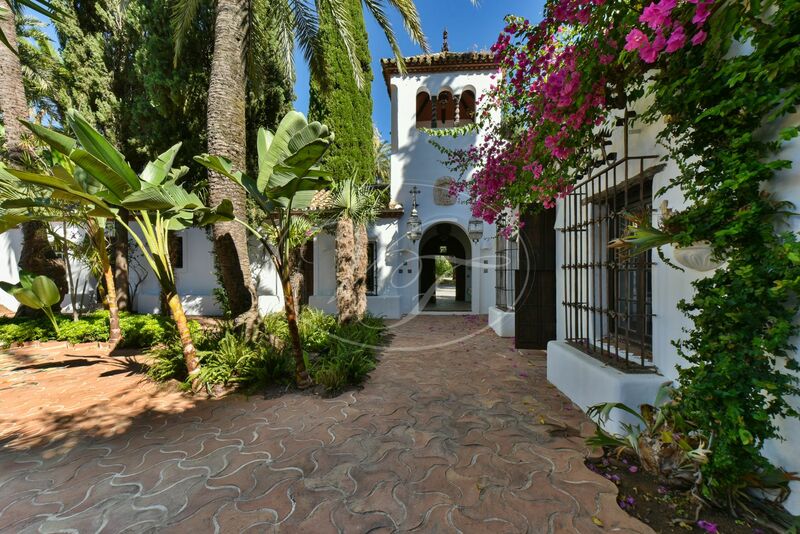 The Cortijo is accessed through an impressive entrance gate from where a path surrounded by palm trees leads to the entrance square. 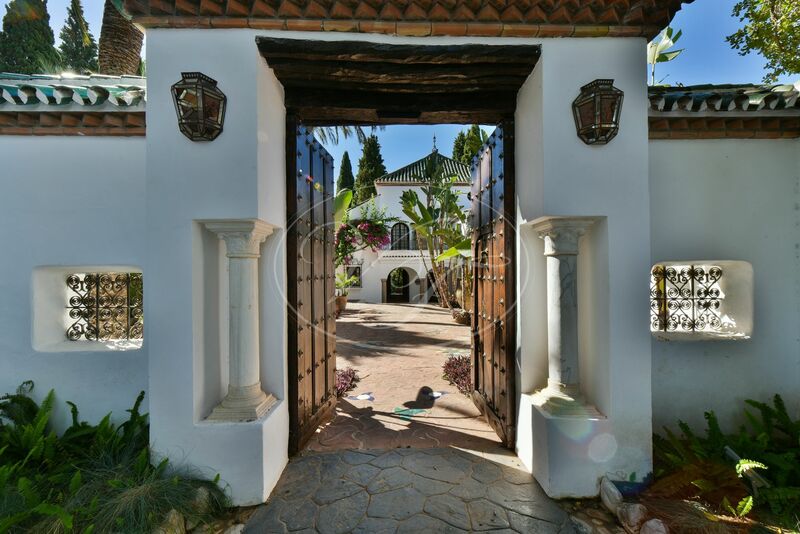 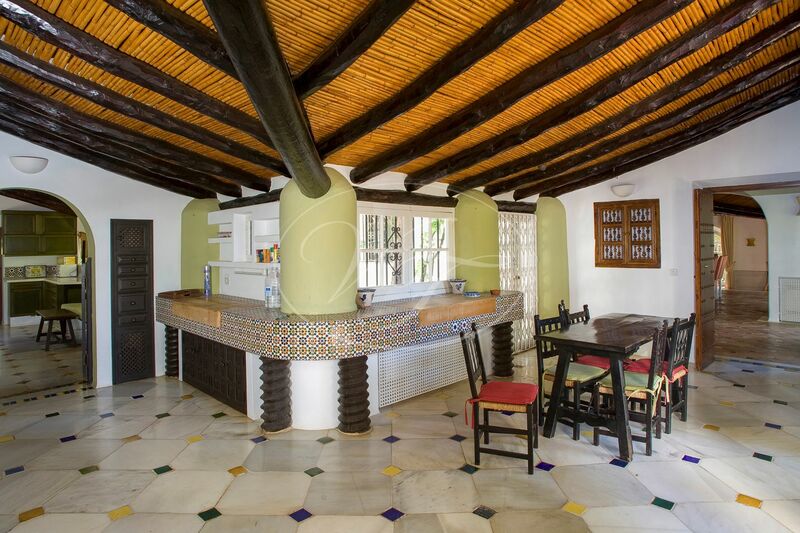 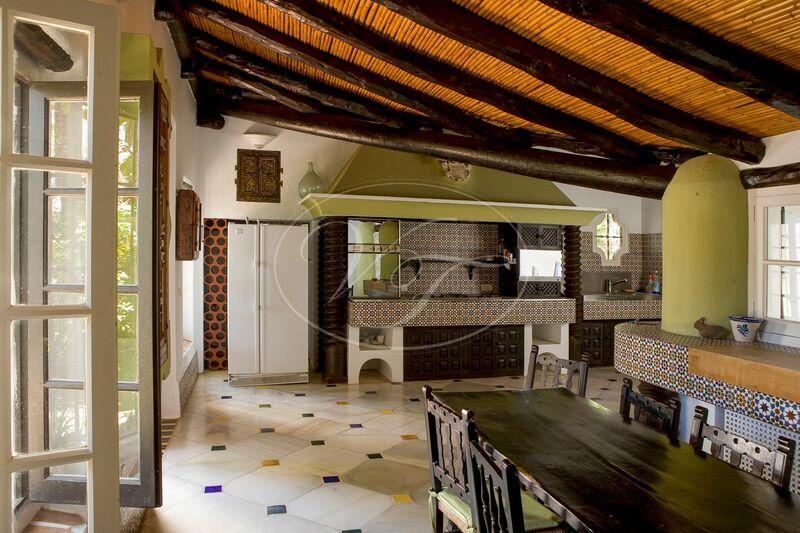 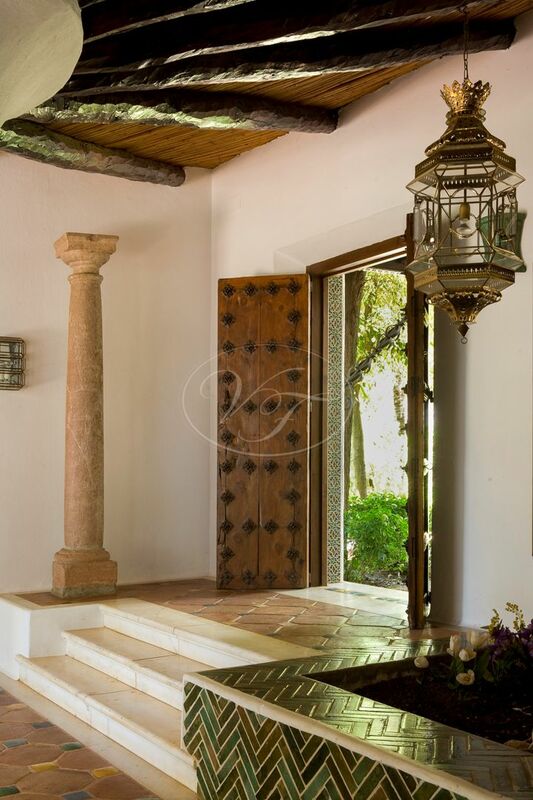 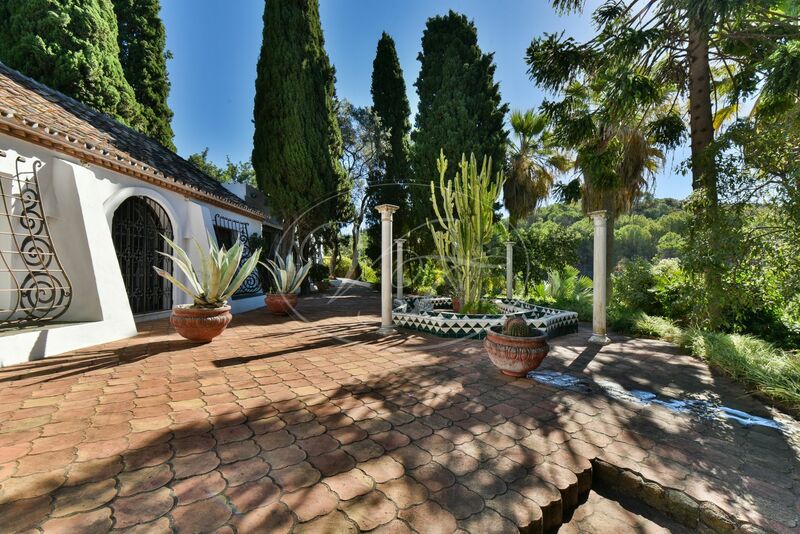 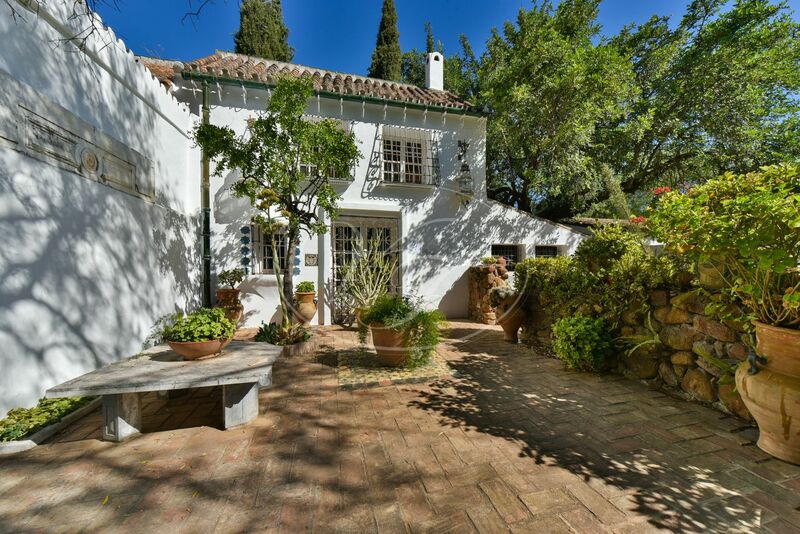 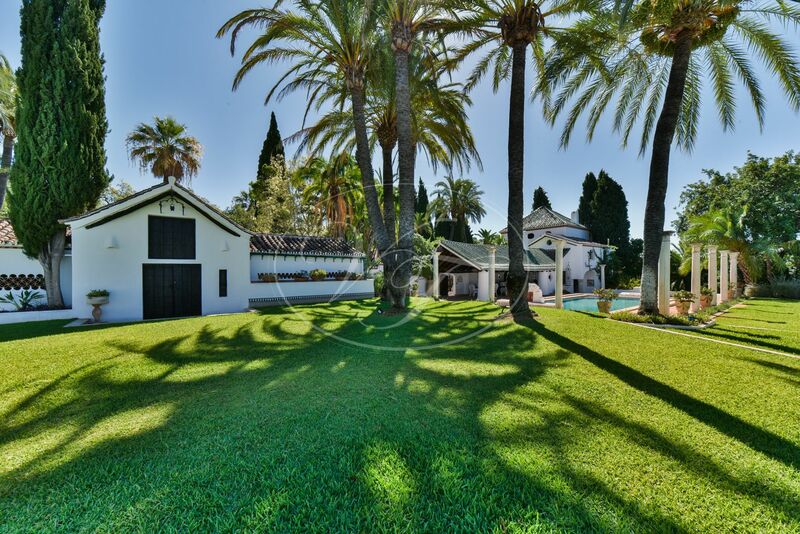 The property is distributed around a spectacular Andalusian patio. 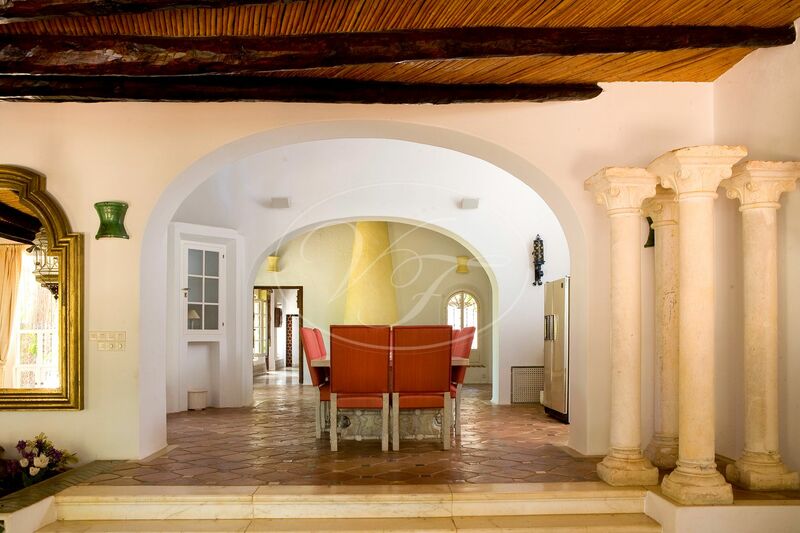 As you enter, a large entrance hall leads to the living room with fireplace, the spacious separate dining room and the kitchen with a wood-fired oven. 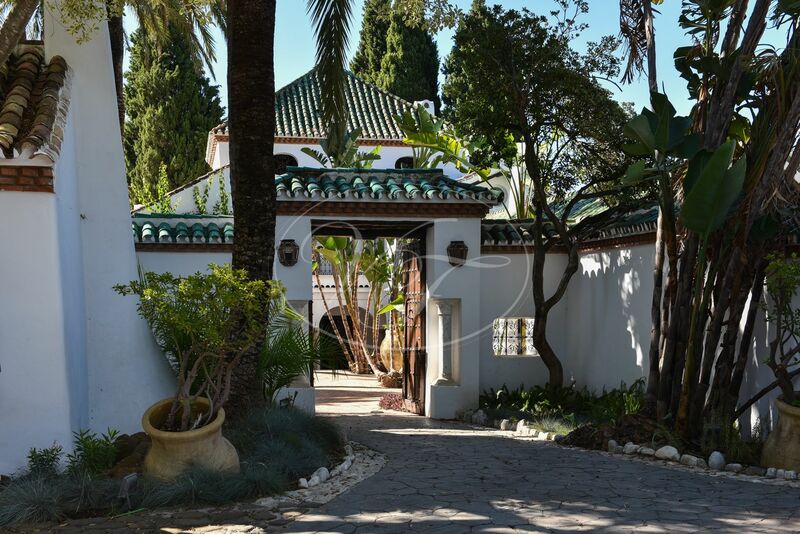 There are 6 en-suite bedrooms, all of them have fireplaces and direct access to the patio and the gardens. 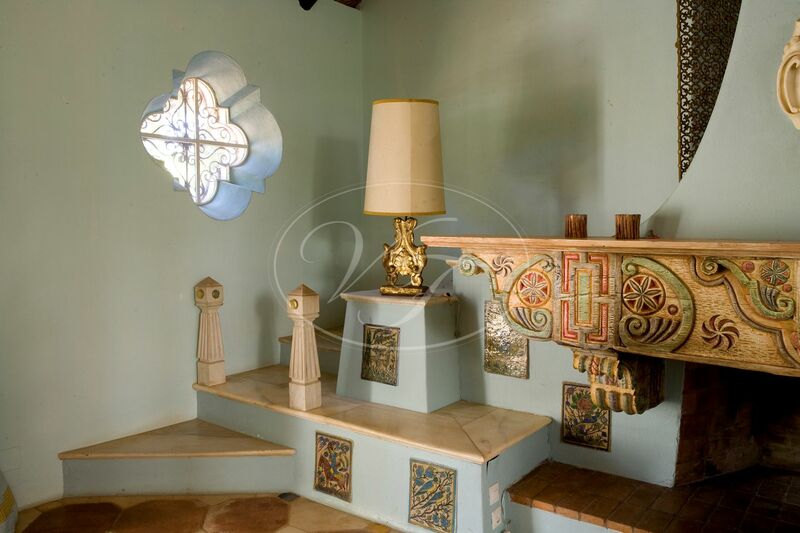 Furthermore, the estate has a beautiful bell tower, kennels, a laundry room and various storage and tool rooms. 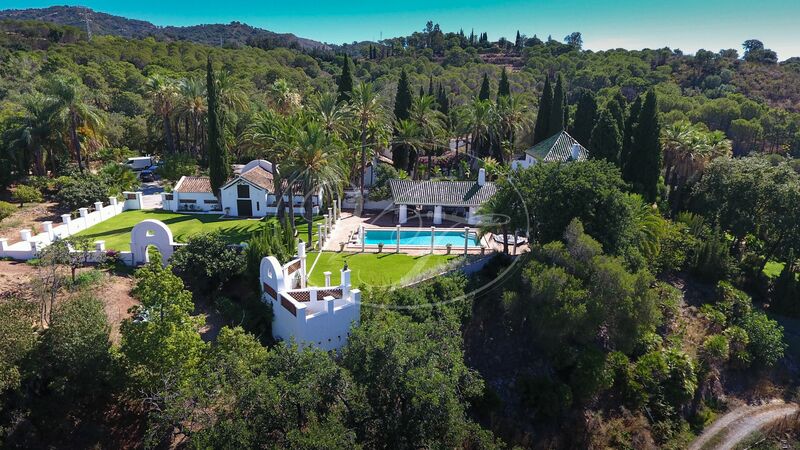 The recreation facilities are comprised of terraces, a barbecue, a swimming pool of 58m2, jacuzzi, sauna and extensive landscaped gardens to admire the beautiful nature. 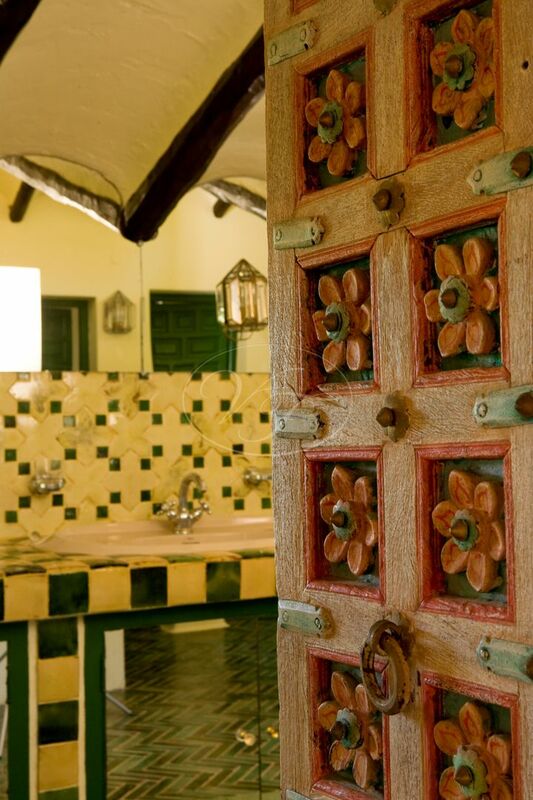 The Cortijo was designed by the renowned architect Manuel Camisuli and is an amalgam of Andalusian, Arab and Mexican influences. 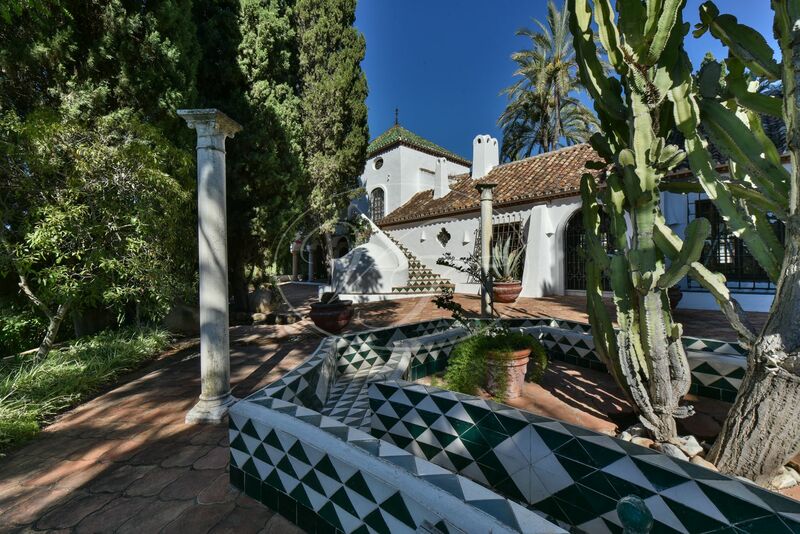 It oozes character in every detail, such as wrought iron bars decorated with rosettes, red pine beams reinforced with bamboo, or the Venetian marble table surrounded by Sevillian mosaics in the kitchen. 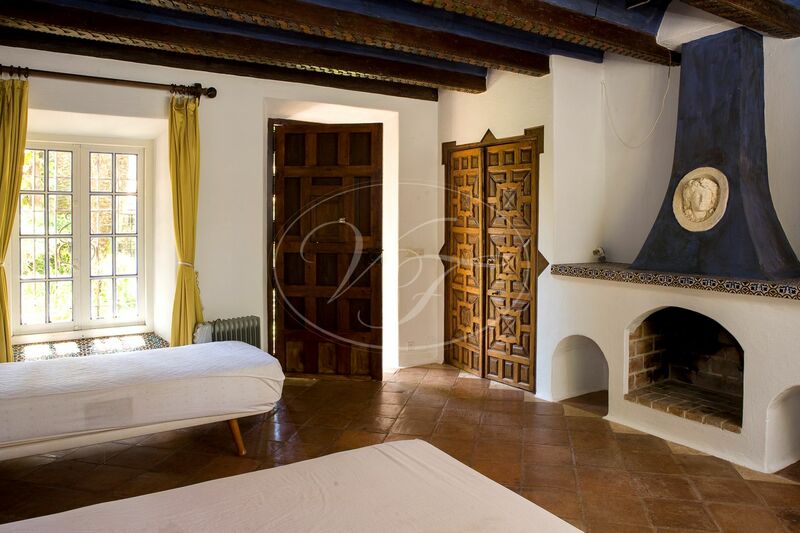 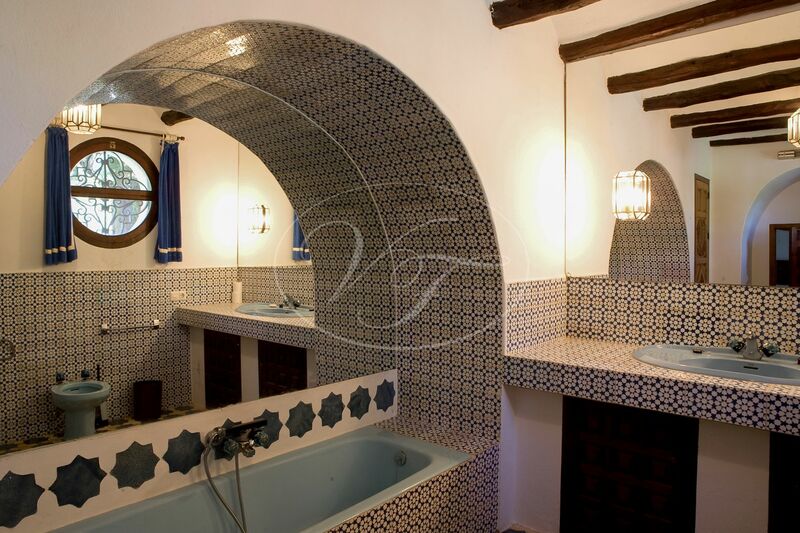 The Cortijo has now been mostly renovated, with only the bathrooms and some details to be finished. 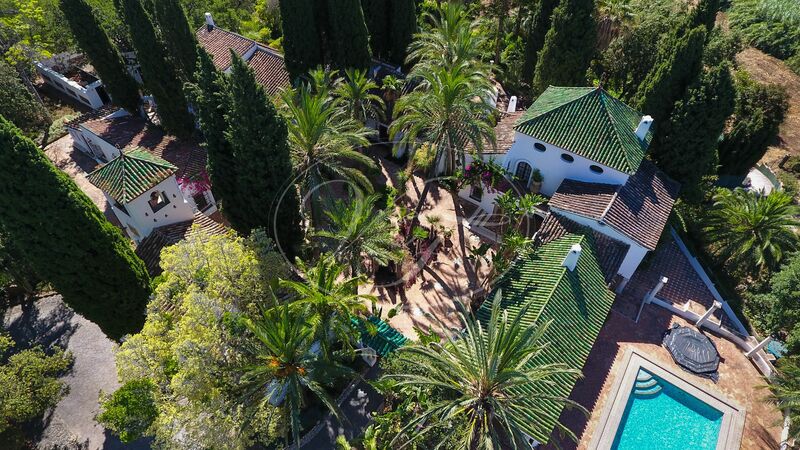 This large estate is connected to mains water and electricity. 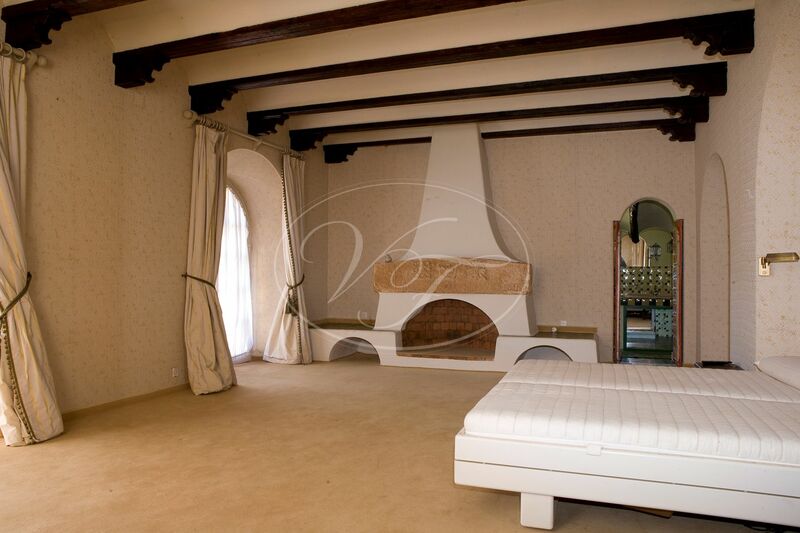 It has central heating on radiators by diesel, fireplace in every room and air conditioning. 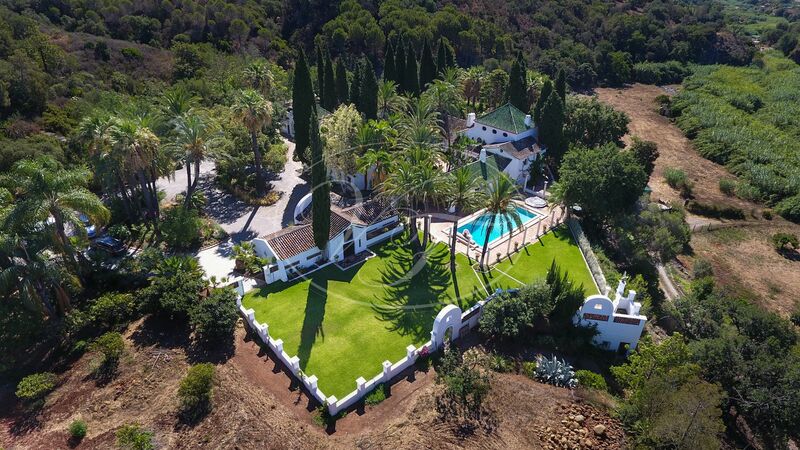 This is definitely a hidden treasure situated only 5 minutes from the sea. 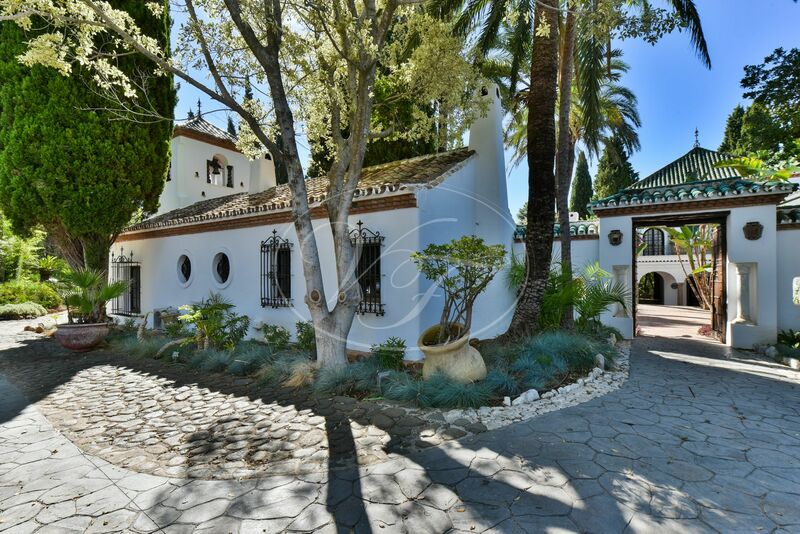 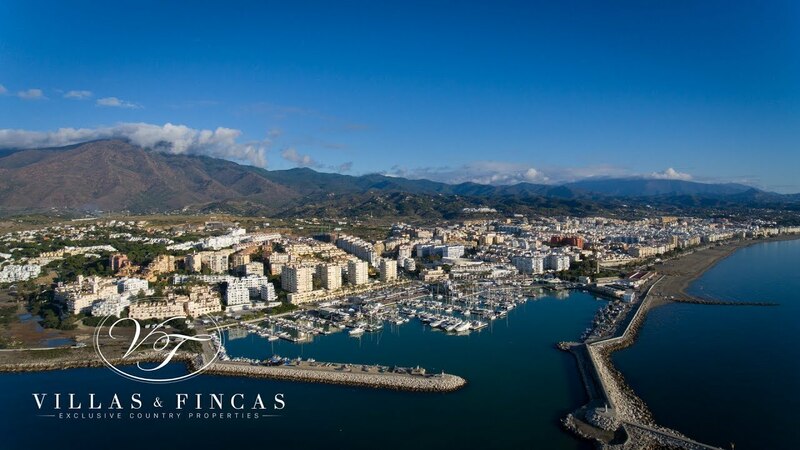 Please, send more information about ref 186-00627P, Cortijo in Estepona or similar properties.